Norman Boyd Johnson, age 93, died in Bellingham January 3, 2003. Born August 1, 1909 in Newport, WA. He graduated from Sumner High School in 1927. Norman took flying lessons in 1926-1929 before entering the U.S. Marine Corps in 1929. He served as an airplane mechanic in Nicaragua for two years and extended his enlistment to obtain flight training at Pensacola in 1932. He graduated as a Naval Aviation Pilot in July 1933. He served at Quantico, VA and Port au Prince, Haiti, then joined the fleet where he flew off various carriers including the first aircraft carrier, the USS Langley. After leaving the Marine Corps in 1936 he flew for United Airlines until his retirement in 1969. Norman was a long time Mason and served as Master of Phoenix Lodge #154 in Sumner, WA where he was a lifetime member. In recognition of his major contributions to the lodge's charity fund, it was renamed the Norman Boyd Johnson Charity Fund. He was also a life member of the Tacoma Valley of the Scottish Rite and of the Association of Naval Aviation. He belonged to the Retired United Pilots Association and the "Gooney Birds". He was a member of the Sumner Presbyterian Church. Norman was predeceased by his first wife, Laurell Eugenia (Gene Nelson) Johnson in 1970 and a stepson, Dr. James Albers of Bellingham in 1996. He is survived by his wife of 31 years, Myrtle (Walters) Albers Johnson; three sons, Brian Johnson of Beverly, Mass., Darryl Johnson, current U.S. Ambassador to Thailand, and Linn Johnson, of Kirkland, WA; stepson, Gerald Albers of Camano Island, WA; eight grandchildren and eight great grandchildren. Memorial Gathering January 7, 2003-2:00 p.m. at the Willows Retirement Home. 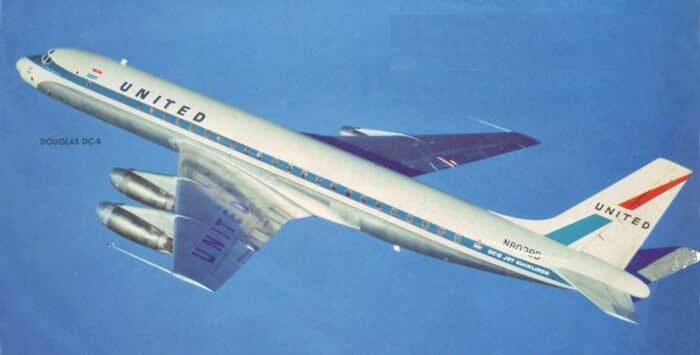 The DC-8- He especially liked the stretched passenger version he flew LAX-HNL, and the DC-8F freighter. He was always calculating fuel consumption to see if he could change altitudes between the mainland and Hawaii, to save more fuel than the flight plan. Thanks again, for coming to the gathering. When I was a child, and did well in school, my Dad, Tom Royal, always told me that you should set your sights on what you want and go after it. He used Norman Boyd Johnson as an example. 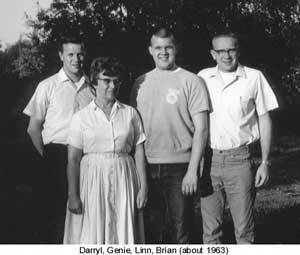 Dad and he, being close to the same age, were friends, as well as cousins, in their youth. Dad told me that Norman was always fascinated with airplanes and flying, telling Dad that he would fly airplanes someday. Dad admired him for knowing what he wanted and never giving up on his dream. This taught me that if you can dream it, you can do it. So, family members, remember to always hold on to your dreams. I often wonder if the stories of my youth didn't influence my decisions later in life. After all, I retired from Boeing as a Senior Lead in Manufacturing Engineering. Thank you, Norman and Dad!! Dad will be greatly missed, for his wit and humor, his storytelling ability, and his ability to recall so much history, family as well as national and international. It's worth reflecting that Dad lived for almost the entire history of powered flight. It is unfortunate that he just missed living to see the 100th anniversary of the Wright brothers' historic flight, which will be commemorated this coming December -- an event that pressaged an industry that would encompass almost all of Dad's professional career. Return to Mary Olive Boyd "Maud & John Johnson"